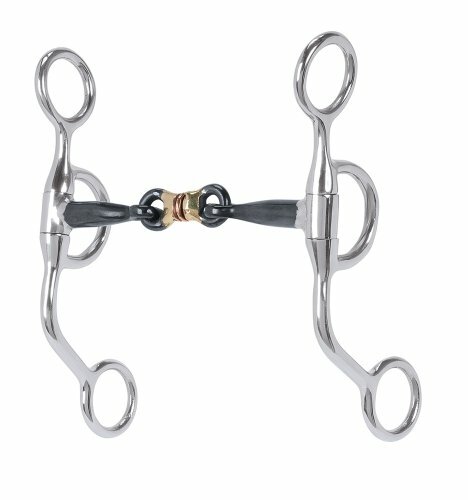 This stainless steel bit features a 5" wide sweet iron three-piece mouth and 6-1/2" Argentine cheeks. 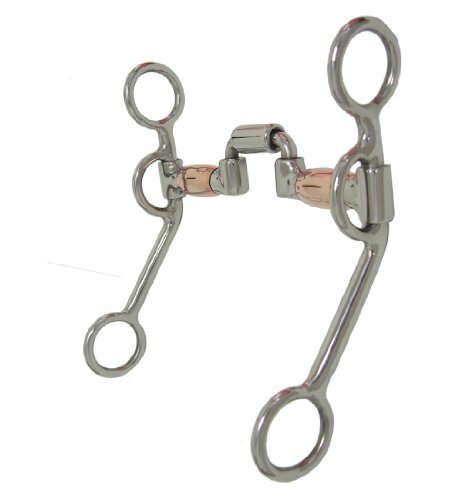 This stainless steel bit features a 5" wide copper snaffle mouth piece and 6-1/2" Argentine cheek pieces. Argentine style show bit in antique brown color. 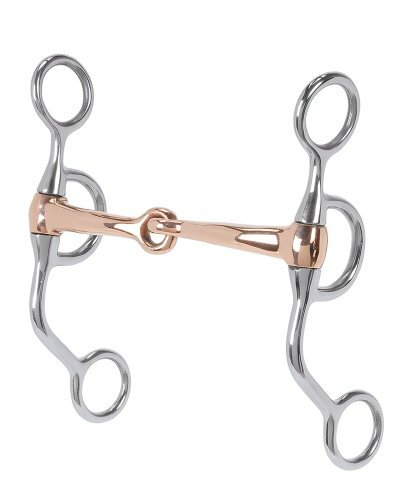 5 ¼" curved sweet iron snaffle mouth with copper inlay. Beautiful hand engraved silver overlay and silver dots on cheeks. 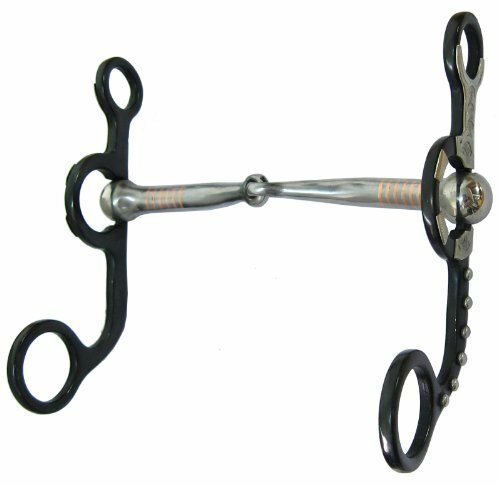 This stainless steel bit features a 5" sweet iron snaffle mouth with copper inlay and 6-1/2" Argentine cheeks. 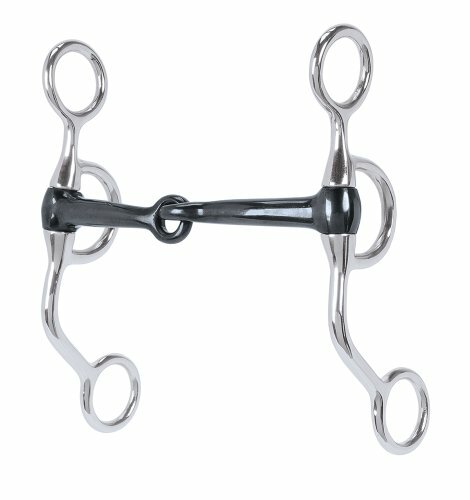 Black steel Argentine colt training / transition bit. 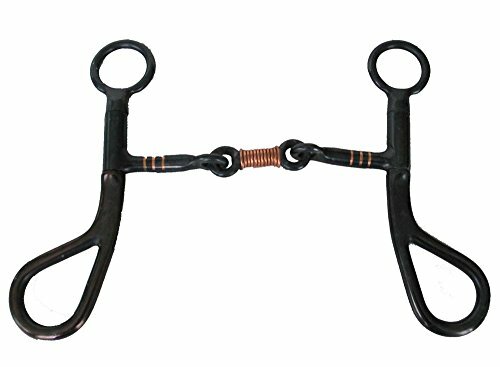 5" black steel 3 piece dog bone snaffle mouth wrapped with copper wire. 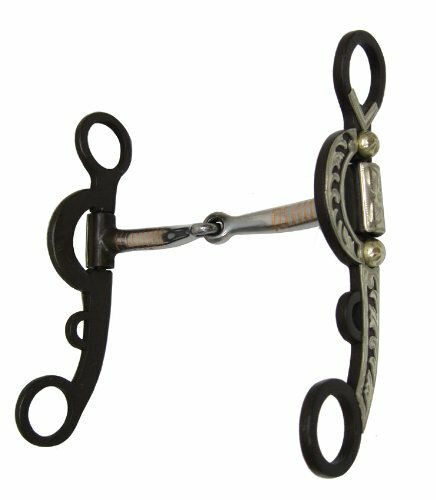 PT-230400Black Satin Flower Design Concho Argentine Bit by Metalab 5-1/8 inch Sweet Iron 3 Pieces Broken Mouthpiece with 4 Copper Rings and Copper Inlays 6 inch Cheeks with Flower Design Concho For Young to Intermediate Horses. 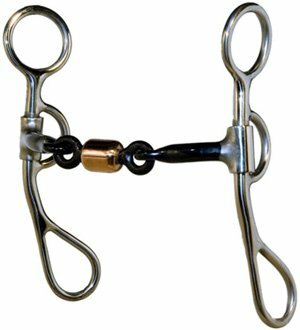 Stainless steel argentine colt training bit. 5" hinged correction mouth with copper barrels and stainless steel roller. 6 " stainless steel cheeks. Antique brown color argentine show bit. 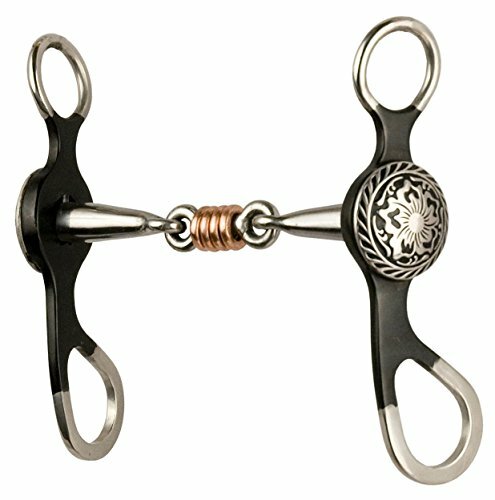 5" sweet iron snaffle mouth with copper inlay, hand engraved silver overlay on swivel cheeks.